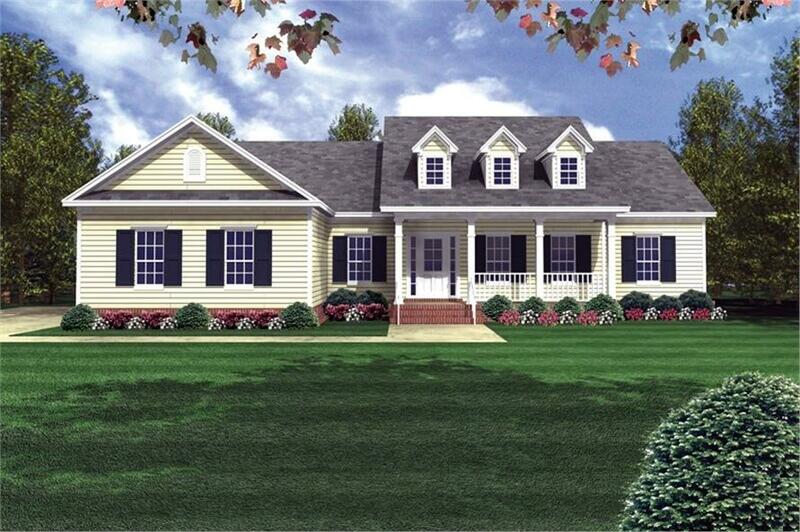 A highly versatile design, this ranch house plan easily adapts to accommodate your individual needs. Organized on a single level, the home plan (#141-1175) also features an optional basement to go a step further in delivering this promise. 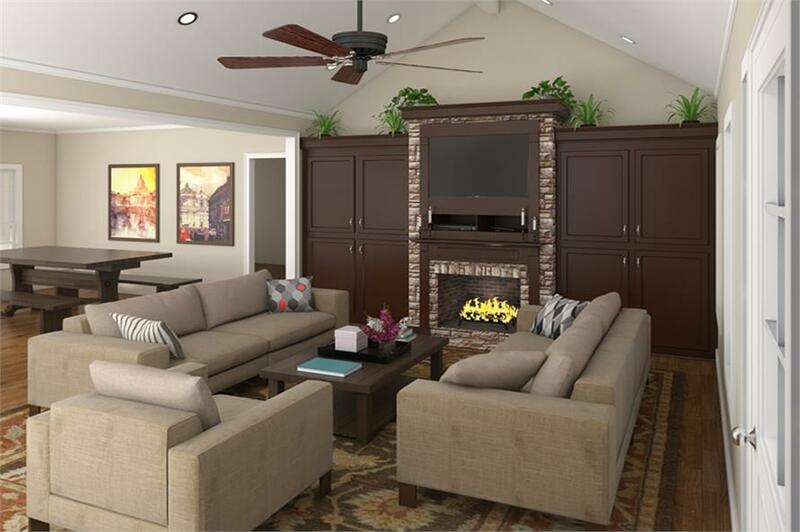 The shaded porch welcomes you into the great room; this vaulted space features a gas-log fireplace and built-in storage to create a feature wall guaranteed to impress residents and visitors alike. 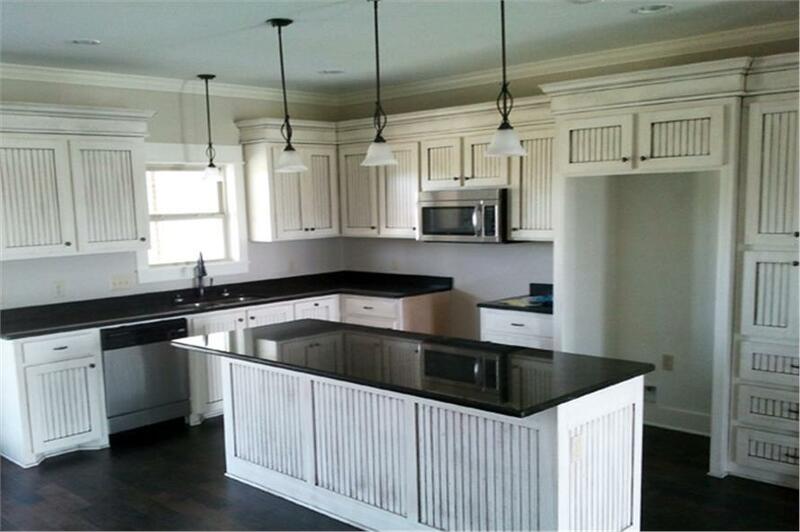 Steeped in traditional family values, the kitchen emerges as the heart of this home. Drawn out in an open-plan layout, it features an oversize island bar that creates an interface between it and the dining area adjoining it. Along with the great room, these form a grand social core that extends from the front to the very back of the house; here it flows out into a screened porch (an ideal location for a home office / games room) before stepping out to embrace nature. The master bedroom is offset from this core by a vestibule, which also leads to the utility room, optional basement, and a two-car garage. The master suite is fitted to the hilt with features that make for indulgent living, including a jetted tub, separate shower, and toilet, as well as private his and her walk in closets. The other two bedrooms sandwich a hall, storage room and shared bathroom between them, and come with their own walk in closets. Bedroom 2 also has its own private bathroom and is ideal for creating an in-law suite. 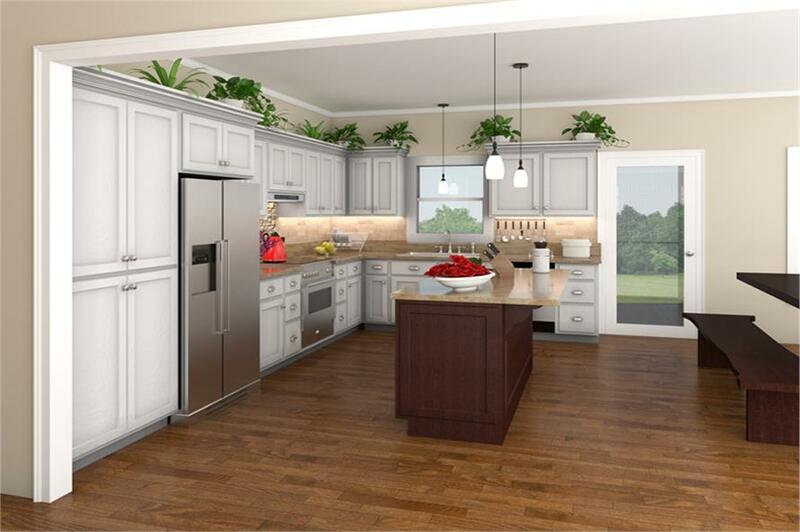 For related floor plan, see Plan #141-1177.